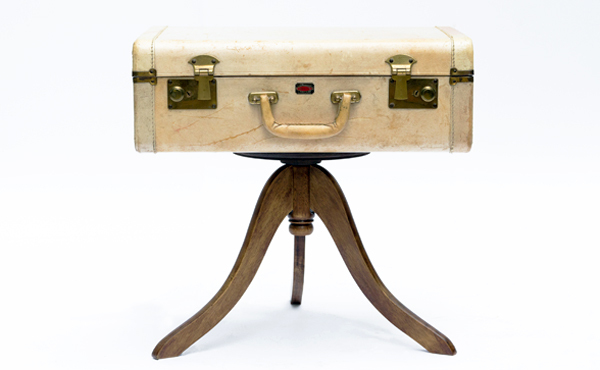 This suitcase table is the marrying of two found objects: a vintage suitcase and a wood pedestal. 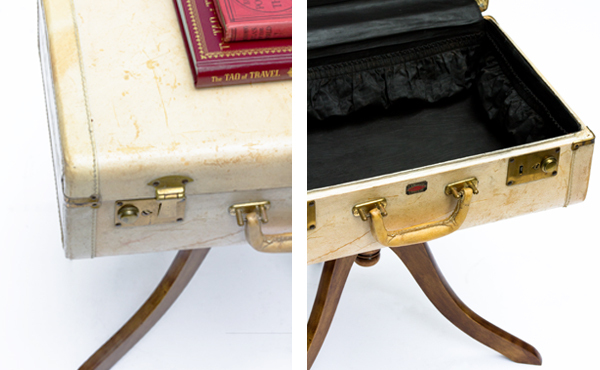 Suitcase has been cleaned and given a protective finish while still maintaining original marks and a vintage look and feel. Suitcase lining has been stained black and pedestal has been refinished with a light walnut stain and antique danish oil. 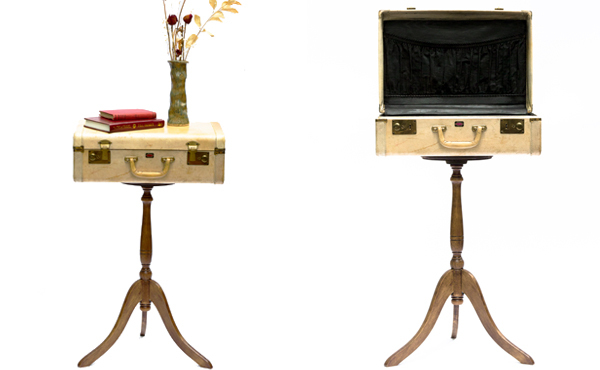 This suitcase table can be adjusted to serve as a tall hall table or a low side table.